WomePreneurship has been on the rise worldwide. Approximately 37% of businesses in the formal sectors globally are owned by women. Not to be left behind, Indian women entrepreneurs are catching up as well. According to the recently released sixth economic census, women comprise 13.76% (8.05 million) of the entire population (58.5 million) of entrepreneurs in India. Being an agriculture-dominated country, 34.3% of the total WomePreneurs (2.76 million out of 8.05 million) are working in agriculture sector, and rest of the women in non-agricultural sectors including technology, FMCG, salons, etc. 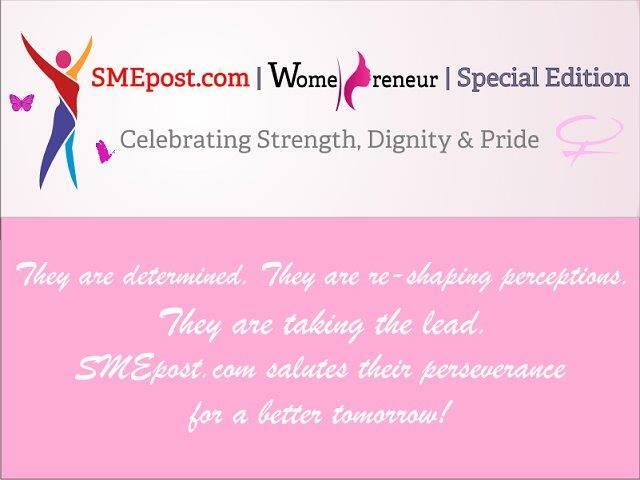 The fact to be noticed is that more than half of these WomePreneurs belong to OBC, SC and ST backgrounds. These entrepreneurs are proficiently handling micro as well as large businesses. These women entrepreneurs in the Indian economy are becoming a potential market for large businesses, investors, and policymakers. As per a study, women entrepreneurs are more successful because they enjoy a trusted status in their community. In fact, research suggests that firms owned by women outperform in many firm characteristics compared to their male counterparts. In India, entrepreneurship was usually taken up by the men belonging to the educated upper class as they were capable of investing money for establishing their business. Then the entrepreneurial career was followed by some educated women too, however, due to several societal and financial reasons, only a few were able to set a significant benchmark over the years. However, many of the uneducated women who were not recognised in the entrepreneurship world are now enthusiastically raising their family incomes with their own micro ventures. Not just that, but they’re also inspiring other women and reinvesting these earnings in their communities for their welfare. Although they are not undertaking their micro businesses at a commercial level, they’re inspiring other women to break the barriers and become self-reliant. Situation is still not completely in favour of women entrepreneurs in India as most of the women (especially married women and those who are raising kids) are still taking on so many responsibilities on their shoulder, the female inheritance ratio in the parental property is still too low, and they are still suffering on financial access. However, with the support of government through various women only schemes such as TREAD (Trade Related Entrepreneurship Assistance and Development) Subsidy Scheme for Women, Mahila Udayam Nidhi, Mahila Coir Yojana, Stand-up India, and others, more women are taking part in entrepreneurship. Alternatively, lending platforms are turning out to be more willing to lend business loans or other sort of business financing to women-owned businesses, so the financial gap is reducing gradually. India has given rise to many women entrepreneurs in recent years such as Popxo, Limeroad, Baggit, Kaaryah, and Sheroes. Women are setting an example by efficiently managing their roles at the work front as well as back at their homes. If uneducated female entrepreneurs in rural areas get access to financial and technical support, even they try to transform their micro businesses into a commercial one. They’re not underperforming but need support financially and morally. Current trends represent that women will turn out to be a driving force in the country’s entrepreneurial growth. It won’t be incorrect to say that this is the era of rising WomePreneurs!